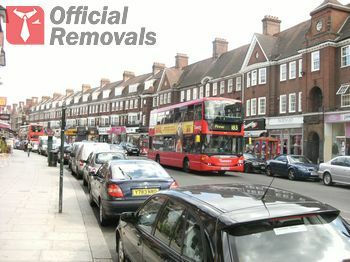 We handle a wide range of relocation needs for homes, offices, establishments and many other types of entities in Golders Green NW1. Through years of experience and professional dedication we have been able to develop and provide a flexible, cost effective and fully comprehensive relocation solution for our customers. Golders Green is a North London suburb within the borough of Barnet. The original settlement from which the suburb formed dates back to the 1700s. However actual suburban development in the area was seen at the end of the 1800s. Rapid urbanisation and influx of new residents to Golders Green began with the opening of the first local tube station in the early 1900s.